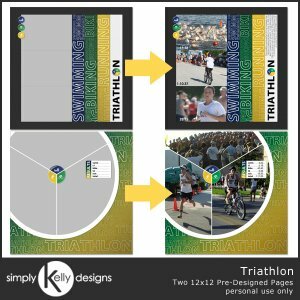 This is a set of two pre-designed pages for triathlon photos! Showcase your best swimming, biking and running photos on each page. Papers and elements in the template can be moved around and changed. These are NOT flattened quickpage.